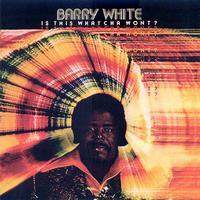 Barry White - Is This Whatcha Won't? New reissue and remaster of Barry White’s sixth album on 180-gram black vinyl. The album included the hit singles "Don't Make Me Wait Too Long" and "I'm Qualified to Satisfy You."